Josh is a "Lethal Forensicator", and awarded the above coin by SANS. 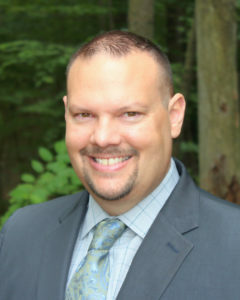 According to SANS, a Lethal Forensicator is, "awarded to those who demonstrate exceptional talent, contributions, or helps to lead in the digital forensics profession and community. The Coin is meant to be an honor to receive it; it is also intended to be rare. Those who join the Lethal Forensicators Unit will have all privileges and recognition. Special recognition has been created for those that have exhibited the qualities described above. We need something that recognizes leadership, talent, and expertise in the digital forensics field. 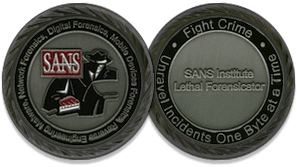 The SANS Institute Lethal Forensicator Coin is one way the SANS Institute recognizes those in the field that deserve special recognition and a thank you for their continued efforts."